You don't need a lot of time to kill off your characters in a movie. Some of the best movies take place in just one day. This may even add to the tension, a tightly edited time-line. 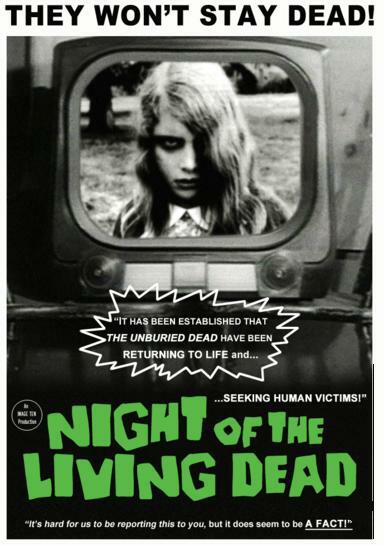 These are “survive the night” movies, a very effect theme in horror films. 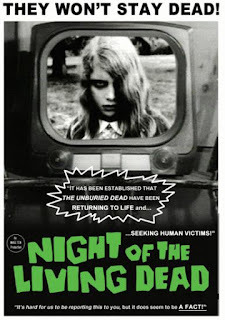 1 – Night of the Living Dead (1968) One scary night for a group of people barricaded in a house, zombies outside and trying to get in. 2 – The Fog (1980) John Carpenter's masterpiece takes place on a sleepy coastal town's 100th anniversary, when a ghost ship comes back to get revenge on the descendants of the original six conspirators who started the town by drowning a ship of lepers. The whole movie takes place within 24 hours, from midnight to midnight. 3 – Jeepers Creepers (2001) A creature comes back to eat for 23 days, but this movie takes place all in one day, and night: the creature's last night to feed. 4 – Pumpkinhead (1988) Stan Winston directed this horror monster movie that takes place in one night after a boy is killed by some careless teens in the afternoon. 5 – Halloween II and IV (1988) John Carpenter director. The first part took place within 3 days, October 29-31, but its sequels happens all in 1 night, the rest of Halloween night. Part IV is one night in the woods at a cabin. 6 – The Mist (2007) the first 24 hours after a storm has opened a portal to another world. 7 – When A Stranger Calls (1979) remade in 2006. A night of babysitting turns to horror when a killer starts calling the house, and is revealed to be calling from somewhere inside the house. 8 – Friday the 13th Part II (1981) The first part occurred during a week, but the sequel is 1 night. 9 – Haute Tension (High Tension 2003) One terrifying night for 2 girls in the countryside of France. 10 – Alone in the Dark (1982) Not to be confused with other movies of the same name, this one stars Donald Pleasance and Martin Landau. A blackout allows 4 psychos to escape an asylum and prey on their doctor's family – all on 1 dark night. 11 – Rope (1948) Alfred Hitchcock movie in which 2 boys strangle their classmate, hide his body in their apartment, and then invite friends over that same night to the same apartment. 12 – Creepshow (1982) Four of these 5 stories take place in one day or one night. 13 – The Evil Dead (1981, Sam Raimi) remade in 2013. 15 – From Dusk Til Dawn (1996) Vampires and Mexican gangs, but only til dawn. 16 – House on Haunted Hill (1959 and 1999) An eccentric man offers a group of strangers 1 million dollars to spend the night in a haunted house. 17 – The Funhouse (1981) directed by Tobe Hooper. Friends spend one night in a carnival funhouse, but they are not alone. 18 – Vacancy (2007) Takes place in one night at a motel. 20 – The Hills Have Eyes (1977) also remade in 2006. 25 – Terror Train (1980) Jamie Lee Curtis and her friends must survive one night on a train with a serial killer. Best Sci-Fi movies that take place in 1 day: Cloverfield, and Escape from New York.